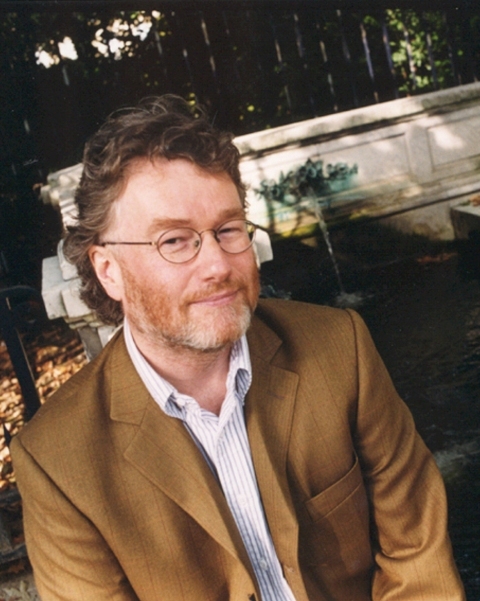 Iain Banks is a very well respected and commercially successful writer. 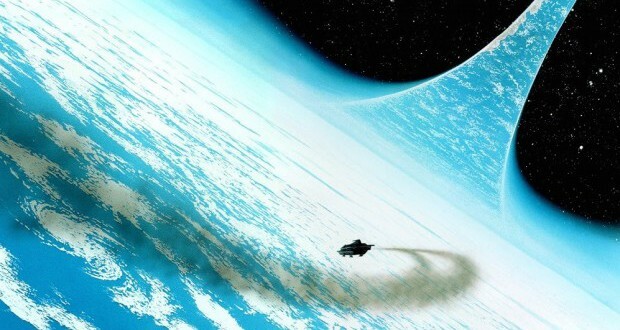 While he tends to be more widely known for his literary fiction writing under the name ‘Iain Banks’, he also wrote a number of successful science fiction novels under ‘Iain M. Banks’. 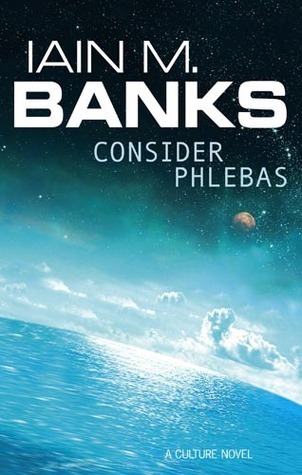 I’ve long been meaning to read some of Banks’s works, both literary and SF, and finally picked up the first of the Culture SF novels, Consider Phlebus (published in 1987). The novel focuses on Horza, a genetically modified human who has the ability to change his form and disguise himself as anyone. He is a mercenary employed by the Idiran Empire as a kind of spy against the Culture in a large-scale war. Given a mission to find and capture an advanced rogue AI created by the Culture, Horza is jettisoned into space when the Idiran vessel he is on is under attack. Horza is captured by a group of adventuring mercenaries. At first reluctant to take him on as one of the crew, Horza proves himself useful in the most brutal fashion. A series of poorly executed ‘jobs’ unfold before Horza finds his opportunity to take control of the mercenaries’ ship and crew, taking them along on his original mission for the galactic war. There is no denying that Banks is a talented prose writer. His sentences flow with a natural grace and he builds three-dimensional characters with seemingly little effort. Despite the well-written prose, however, I could not get into this book. It is only in the second half of the novel that any of the characters feel as though they have any depth, and that’s far too late in the game to start developing a hook for readers. 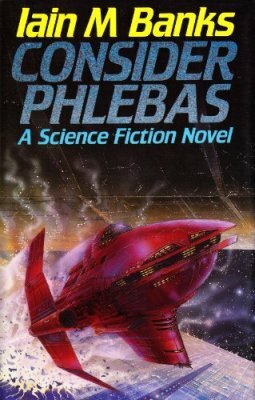 Like many SF novels, Consider Phlebus spends too long going into incredible detail about the technology, cultures, aliens, etc involved in the story – even if only barely peripheral to the plot. 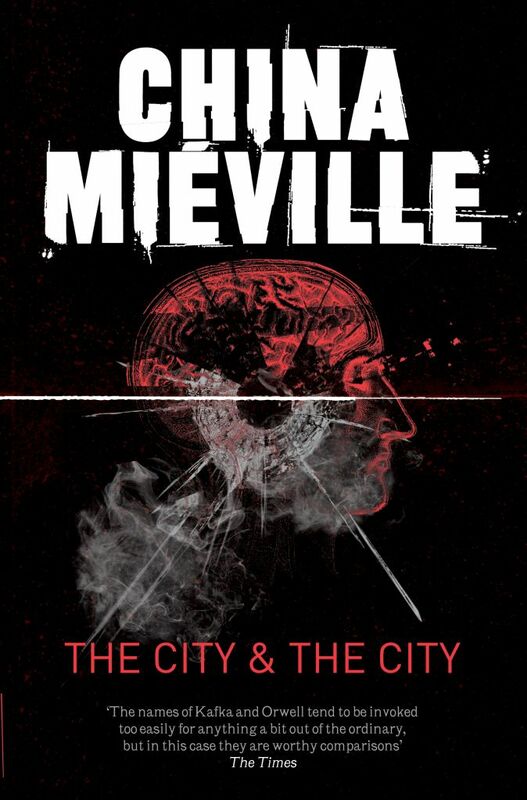 Meanwhile, the plot is more of an episodic structure than something fitting a novel, with the protagonist swept along on a series of bizarre and loosely connected events. It felt like the story should have been a monster of the week TV series rather than an oddly paced novel. One of my biggest issues with a lot of science fiction writing is that they spend far too much time on description that is neither integral to the plot nor terribly interesting. Of course world building is important, especially if you are setting your story in a place that is alien to the readers, but description and exposition should be delivered sparingly and only the relevant pieces need to be given. For instance, early in the novel Banks goes into great detail about the war and what the two sides have against one another. But wouldn’t it have been more interesting to deliver that through Horza’s interactions with Balveda (a Culture agent)? Despite the amount of detail surrounding the war – the battles, the strategies – we actually find out very little about day-to-day life in either of the two main factions. What appears most intriguing is the Culture, and yet the details around what the Culture as a civilization really means is vague at best. Why give us so much, frustratingly thorough details about some things that are at best insignificant to the overall story while barely touching on the pieces that might actually be interesting? On top of that, we follow a man who has dedicated his life to working for a particular civilization, but we never get a good sense of what it is about their ideology that he loves other than ‘life vs machines’. Gee, that’s not at all a cop out, is it? What made him come to that decision? Was he brought up to believe these things? Did something happen to him? How did he develop this loyalty? None of that interesting backstory and motivation for Horza’s actions is ever delved into. We get hints at there being something deeper there, but never actually get to see the really juicy pieces. Spies are fascinating, as are political thrillers. Spies often have a very corrupt moral compass. They are called in to get the job done, no matter what. And a spy that can the form of anyone? Well, there’s a real threat. His abilities are even hated by those with nothing to hide. He could be anyone, impersonate anyone, do whatever he likes. And he has no problem with doing just that. I have always found it interesting when characters that are clearly morally on the darker end of a grey-scale try to cling to their own ideals. These kinds of characters tend to have their own very narrow definition of morals, a code they live and breathe by. And Horza definitely fits this mold. The trouble with Horza is this potential – an interesting set of tropes around such a character that could lead somewhere but never really get a chance to. He is too passive, swept away into seemingly unconnected and irrelevant tasks without taking too much action. He waits, bides his time until the time is right. Fine, that’s smart, but it means the first half of the novel is pretty much a waste. He just reacts. It isn’t until he starts playing out his real role, the talented, vicious spy, that he (and the novel) gets interesting. Verdict: Thoroughly disappointing science fiction novel from a writer whose prose promises so much more. Some great ideas and potential for a fun, interesting tale but left me cold and bored, with an entirely unsatisfying ending.